He moved to Canada in December 1995 as an Obstetrician and Gynaecologist and worked at the Central Newfoundland Regional Health Centre, Grand Falls. He later joined the Obstetrics and Gynaecology program at the Memorial University, St John’s Newfoundland and was certified as Obstetrician and Gynaecologist by the Royal College of Surgeons of Canada in 1999. Since then he has been serving the needs of Peterborough community as an Obstetrician & Gynaecologist. 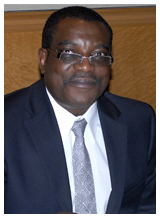 He is also a faculty member of the Department of Obstetrics & Gynaecology at Queen’s University in Kingston, Ontario. At Dr. Sobowale's office, we consider the person behind the patient. We offer comprehensive treatment options for our Obstetrics & Gynaecology patients. We also offer Urodynamic and Colposcopy services. We look forward to helping you get the most out of life. Available at the Medical Centre ($5/visit). Parking fee refunded if prescriptions filled at Medical Centre pharmacy. 24-hour cancellation notice is required. If there is a pattern of late or missed appointments, Dr. Sobowale reserves the right to charge a missed appointment fee or end the physician-patient relationship. Not all services are covered by OHIP and as such you will be notified when a payment is required for such services. Fees for these services are set by the Ontario Medical Association, which releases a new schedule annually. A list of common uninsured services and their costs are available at the reception desk. Non-payment after a reasonable timeframe will result in discontinuation of uninsured services for that particular patient.